Rebels and the jihadist bloc Hayat Tahrir al-Sham attacked regime positions in Hama Province in western Syria on Tuesday, while pro-Assad forces pounded neighboring opposition-held Idlib Province with airstrikes. Pro-opposition media say that both sides are using artillery, rockets, and mortars in today’s fighting, and that regime warplanes have carried out airstrikes over the town of Morek and the village of Atshan. Accounts wildly varied over the state of the fighting. The pro-Assad propaganda site al-Masdar headlined within hours, “Syrian special forces totally crush jihadist offensive”. But rebels claimed they inflicted heavy casualties on pro-Assad troops, including “lots of foreigners, especially Iranians and also Russians — both Wagner [private contracted personnel] as well as army”. 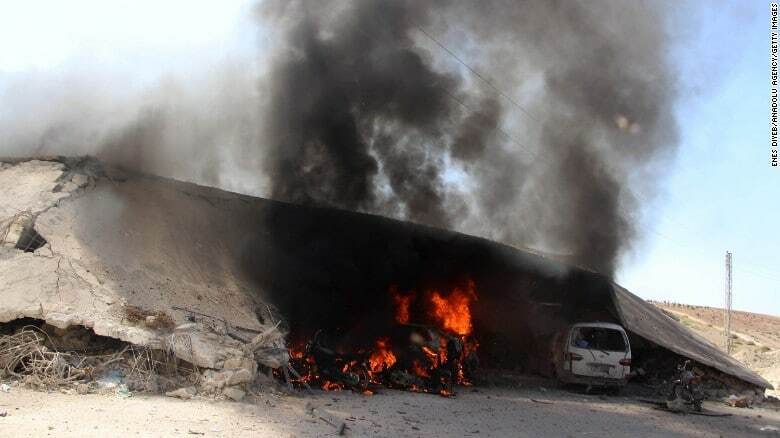 Regime and Russian warplanes carried out scores of attacks on Idlib Province in northwest Syria throughout the day, with flights from the Hama and Shayrat bases in Hama Province, T4 in Homs Province, and Hmaimim in Latakia Province. By the afternoon, the White Helmets civil defense organization were reporting 40 strikes on civilian homes, hospital, and civil defense centers. 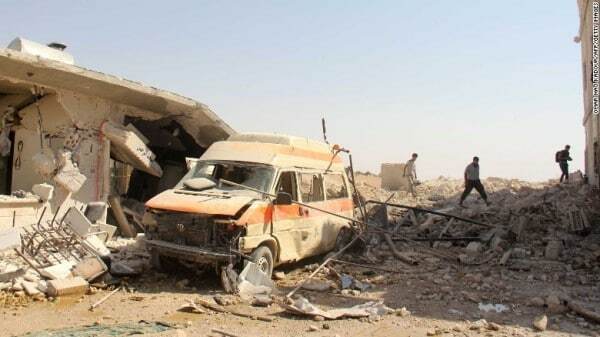 Three medical facilities were reportedly been knocked out of service in Idlib Province: Orient Hospital in Kafranbel, Rahma Hospital in Khan Sheikhoun, and Tawlid Hospital in al-Tah. The regime’s line, spread by al-Masdar, was that the attacks were on “rear-area targets belonging to Al-Qaeda in order to limit the ability of terrorist forces to resupply and reinforce their offensive”. The site claimed more than 100 attacks, half by regime jets and half by the Russians.